A structure of a multifunctional hardware – software system for sensing and control of remote objects in the household and in the industry are considered. A version of data transferring between control center and controlled object using GPRS service is proposed. The monitoring and control are realized by a set of remote stations which control the objects and receive parameters from them. Every station has a microcontroller and GSM – GPRS modem with SIM card. The stations are linked to the switching server. Data received from remote stations are kept in the server. The server distributes information and sends control commands. Personal computers of the control center are connected in a local network. They receive data from WEB sites and send commands to the switching server. The design and the characteristics of two realized systems for remote monitoring and control are described. Nowadays, manufacturing systems are much larger with an increasing number of production lines and units. As a result, the decision-making of manufacturing system is a non-trivial problem and requires complex control subsystems. The use of Programmable Logic Controllers (PLCs) allows to program various and non-standard solutions. In the paper the application of Multi-Attribute Decision-Making (MADM) methods to a decision-making related to flow control in a manufacturing system with three production lines is described. For this purpose, the SAW (Simple Additive Method), WASPAS (Weighted Aggregated Sum Product ASsessment) and TOPSIS (Technique for Order Preference by Similarity to Ideal Solution) methods are applied and simulated with using manufacturing system model in Matlab Simulink and SimEvents. In methods subjective weights defined by an expert are used. However, in order to move away from subjectivism, Shannon’s entropy is used for determining weights of criteria. The used approaches have been compared. Manufacturing Operations Management (MOM) systems as central information and data hub play a very important role for an easy and seamless transition to Industrial Internet of Things (IIoT) applications. IIoT is mainly used in the context of Industry 4.0, that pursues the organization and management of value-added processes in the manufacturing industry with means of digitalization. The main aim of the proposed paper is to suggest some modifications to the IEC 62264 based models and architectures using RAMI 4.0 reference architecture in order to follow the basic principles of IoT and achieving the main advantages of IIoT. This paper describes electricity generation characteristics of the vibration power generator with piezoelectric elements. In general, it is well-known that the above generator has low generation efficiency, having so simple structure. Moreover, vibrations of broad frequency band, which exist in actual environment, bring the characteristics to lower efficiency in comparison with the particular situation in which the host structure is excited by the vibration of the natural frequency. In this study, the vibrations of broad frequency band, i.e. random vibration, attracts attention and mechanical-acoustic coupling with an internal sound field enclosed by the host structures, on which the piezoelectric element is installed, is adopted to improve the electricity generation efficiency. The behavior of mechanical-acoustic coupling is determined by the relationship between the respective characteristics of the host structure vibrations and the internal sound field, so that the electricity generation efficiency depends strongly on those dimensions. Here, the electric power and the electricity generation efficiency are regarded as the representative characteristics of the electricity generation, then the characteristics are considered based on them with changing the dimensions to find the condition in which the efficiency can be improved. As a result, the applicability of such a power generation system in actual environments is mentioned. A Continuum (filled polymer) is inhomogeneous and anisotropic. The Continuum is used in an injection moulding simulation at first (generally unnewton type of fluid). Then the continuum is solid (after cooling) and it is possible to carry out ordinary dynamics structural analysis with it. The solid continuum has different mechanical properties for each of discrete element. A consequent dynamics properties (natural frequencies) will generally have different values when influence of injection moulding is taken into account for analyses. With the use of 3D printing technology, layer by layer extrusion is possible printing of construction objects, but printers represent a large size and mobility limited metal construction. The main reason for the large size of constructions for existing structures of 3D printers for building objects are large strains of bending moments that construction must take. In a new scheme of 3D printer called "Delta Wired 3D Printer", the large stress created from bending moments are transformed in normal stress from tension. At this time, the printer has been developed as a conceptual project is therefore theoretically necessary to identify efforts in wires which is to be suspended extruders (load). For creating a large scale working 3D printer model is necessary to create a prototype. Through a theoretical study of the basic design parameters can be made a real printer prototype project. By using the theory of similarity can be define a unit of prototype error as to how much it will respond to the real model. This is also the main purpose of this publication. Innovative enterprises have a key role in the recognition and the sustainable development of the knowledge-based economy. The different innovative enterprises have different contribution and value for the economy and the social development. The R&D personnel and its acquired and developed competencies are basic characteristics of the innovative firms. On the base of the R&D personnel’s competencies a company competency profile is designed. This model may improve the innovation activity and the organizational performance of the enterprise. It can be used for making differentiation between innovative enterprises and on is base to be delivered conclusions on their competency competiveness. The competency profile can be useful for choosing what kind of innovations to be produced and in what innovate projects the company may participate. These innovative projects need concrete and specific competency tools. The competency profile works within a framework for improvement of the whole competency management of the innovative enterprise and introducing the best performance management practices for the R&D personnel. Reuse-based software engineering is a software engineering strategy where the development process is geared to reusing existing software. The move to reuse-based development has been in response to demands for lower software production and maintenance costs, faster delivery of systems, and increased software quality. More and more companies see their software as a valuable asset. They are promoting reuse to increase their return on software investments. This paper deals with the safety, modeling, simulation and the possibility of automation of a production warehouse as a key component on CIM systems. The manufacturing has been changed significantly by using information systems. Using electronic data processing in the production systems and beyond, automatic protocols are derived and flow both on confirmation of the order and in economic aspect of the raw material. Also, information systems are used in planning and controlling the production, including machines, equipments and entire production process, as well as a lot more opportunities have been provided for the operator. But, security of the production systems is one of the concerns which are elaborated in this paper. Production systems play an important role in industrial and economic development of a country. Recent years, there was a tremendous change in the technology of production systems. Such changes happened as a result of advances in the field of hardware and software technology, which are directly or indirectly related to modeling and simulation of production systems. 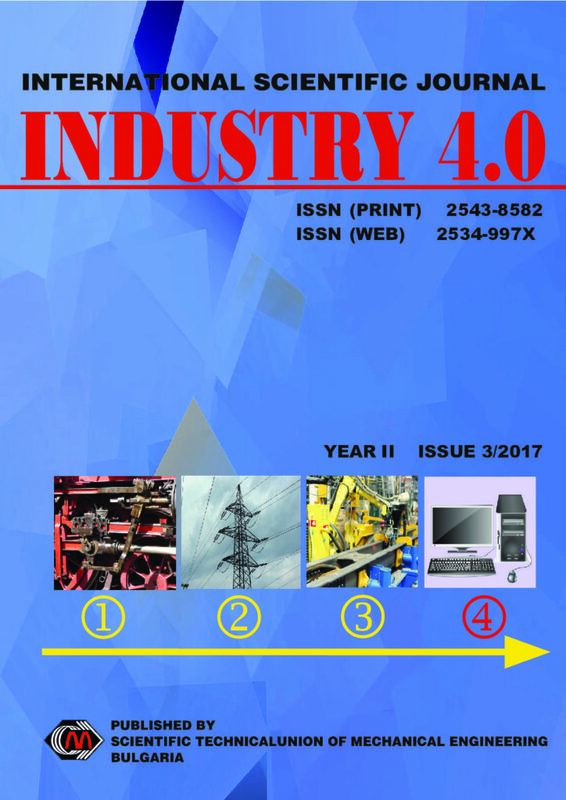 In this paper, we will investigate the possibility of automation of a production warehouse as one of the key components of CIM technology. Simulations are new and very attractive area. Nowadays they have become indispensable engineering tools for solving engineering tasks, leaving behind the traditional analytical methods. They include design, analytical and optimisation tasks of complex production systems, computer architecture, biological and military systems etc. This is made possible, because of failure to gain good results by the analytical methods, which is the case also for simple systems too. In the group of traditional methods are distinguished: arrays method (querying theory), different heuristic mathematical methods etc.This paper also deals with modelling and simulation of flexible system for electrical machine assembling by ARENA software. The postal services market is facing big challenges, both on global and national level. Besides e-substitution, a liberalization of the postal market contributes to the greater extent to this phenomenon. The purpose of this paper is to examine a state of the postal market in Serbia and main developments, considering a trend in the number of postal operators, number of services, service diversification, relation between letter and parcel market, etc.